To experience the best and most unique day spas in Portland, Oregon you need to be adventurous. While there are large and small spas located throughout the city, some of the more unique ones are located in central Portland on both sides of the Willamette River. From a family-oriented experience to a hot springs retreat for young professionals, you'll find some intriguing and well-regarded spas in Portland. Located in northwest Portland, and with a small spa at the PDX airport, The Dragontree Spa is a local mainstay. Steeped in Ayurveda principles and modalities, this day spa intends to quiet the mind, mend the body and uplift the spirit. 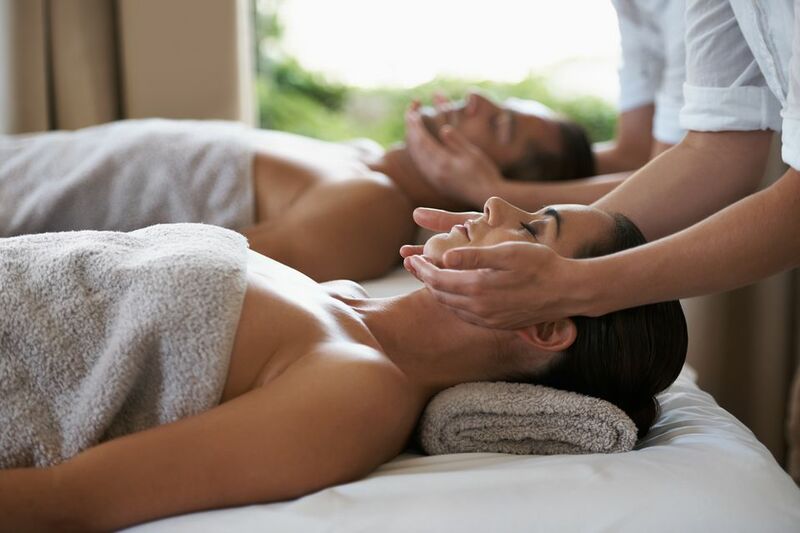 Top signature treatments include Abhyanga (2 or 4-handed Ayurvedic massage), Garsha, a body exfoliation using raw silk gloves, and an assortment of skin care treatments. The Dragontree has been named one of the best spas in the United States, and their apothecary and lifestyle products are carried by leading practitioners, spas, and major retailers around the country. springs, spa, transformative and restorative fitness, and their specialty gym. The unique springs experience is a ten-step process featuring a variety of small therapeutic pools. The process involves showering, relaxing in heated pools like the tepidarium (99 degrees), taking cold plunges, and visiting the wet and dry saunas. Other relaxing, rejuvenating services include Swedish and Thai massage. The facility is located in northeast Portland. Rejuvenation Day Spa aims to "rejuvenate physically, mentally, emotionally and spiritually.” Therapists use assorted natural herbs, plants, and minerals in essential oil/aromatherapy treatments. Their water is doubly purified and the air is circulated through the highest quality filters. From pregnancy massage to collagen dermal peels, this day spa covers the gamut. Special skin care includes treatment of Rosacea and other conditions. The spa, located in northwest Portland, also offers nail care and a complete hair salon. Zenana Spa and Wellness Center features specialty services to pregnant and parenting families. While open to the general population, this is Oregon’s first day spa and wellness center to focus on this population. From numerous massage treatments and wellness services to counseling classes and playgroups, Zenana Spa takes its mission quite seriously and offers a unique place for mothers-to-be as well as post-partum families. They also feature a range of spa services for women and men, in a holistic environment. The spa is located in southeast Portland. This is so Portland because this spa is extremely unique. In the trendy Pearl District, is a spa that offers relaxing floats in one of their saltwater tanks. They have received good reviews for their massage and acupuncture services which are enhanced by floating prior to the service. Floating clears your mind and helps you be present in your thoughts and aware of your body. At the Float Shoppe, you'll start out with a cup of tea in the comfortable lounge and then the staff assists you with choosing from the menu of services. But the big draw is the relaxation and rejuvenation the warm water brings to you. Floats can be in an open or enclosed tank.